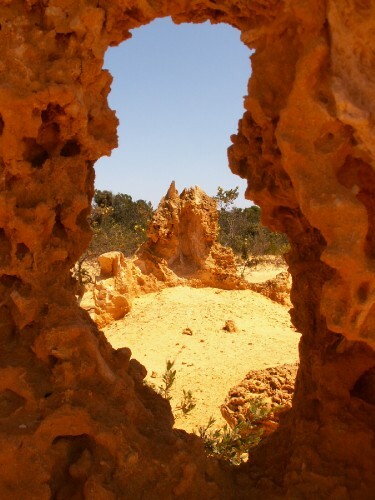 Blog from Perth, Western Australia | Margaret in Wonderlands.. So where does the story start again.. its been a while since my last blog.. so after leaving Koh Tao I headed on a speedboat to shore to head to Bangkok. The journey was somewhat hilarious as it was very rocky so people were lying in the floor and doing anything to keep their sea legs and not lose their stomachs on the way. I was fine and plugged in my ipod and zoned out for the hour and a half. I think I am getting used to travelling thankfully. When I hit land I got chatting to the lovely Sonia from Dublin. We spent the next 9 hours travelling to Bangkok on the bus and shared a room in the Bella Bella hostel where the boys from the island were staying. it was just behind the temple and was only 140 baht each a night. Sonia was heading to Singapore on Sunday so it worked out perfectly. We checked in then went for a wander about and who do we bump into but Jason, Eddie, Ross and Kevin which was perfect. We then watched as the boys ate bugs which included cockroaches, crickets and other weird s***. Jason offered some to me but helllooo I eat ALOT but I would never eat bugs.. times have not got that desperate.. YET.. We then headed to 'The Club' for a dance for a few hours..The next day Sonia and I headed off to MBK Plaza to pick up some shopping. Amongst that there was a new daypack, earrings, tops and some toiletries.. We finished the last of the shopping on the Koh San Road which included a dress, a bag and another top well I need to update the wardrobe and I know OZ will be expensive. Later on we met up with the boys plus Natalie, Nick and Dee and the girls for an indian curry to celebrate Sonia and my last night in Thailand. The curry was awesome and we had a good giggle whilst it rained outside. Sonia and I went for a butter chicken and aloo sagg with rice and a garlic nann... well if I cannot have C2K then I have to have some sort of substitute. We stayed out till about 1am in the Shamrock bar then we headed back. We picked up one last fruit juice and some snacks for the next day from the 7/11. I had to be at the coach stop for 3.45am so I thought a power nap would help. After an hour snooze I headed off to catch my bus and flight to Perth. I said goodbye to Sonia who I loved hanging out with and got on really well with. Sonia if you read this you are one COOL chick I got chatting to some people heading to Vietnam so I handed them my South East Asia book. Love it when you hand down stuff to people. On Thursday Gary and I headed to the city to book my tour. I opted for the tour to Exmouth with Red Earth Safaris for $885 for 8 days all inclusive. I originally wanted to head to Darwin but it was majorly expensive, close to $2000 and also the weather was not great up north, it is getting hot and rainy. The tour was leaving the following Monday. Gary and I went for a wander over to Swan River and the Bell tower to take some pictures. Later we headed to the beach with James to soak up some rays.. honestly its a hard life .. The next day Gary and I headed to Freemantle to meet the lovely Laura for lunch and we looked around the harbour, town, prison and market. We had a cheese and ricotta pastry which was delicious. It's a cute little town and has a nice vibe to it a bit like a seaside but nicer in a way. On the way back we headed to Cottlesloe beach to chill out for 2 hours before we headed home. it was packed as it was the school holidays and the flies are a nightmare.. have I mentioned that yet??? FLiES DRiVE YOU CRAZY ON WA... Honestly they are trying to get into your ears, eyes.. anywhere.. so frigging annoying..later that night we had a salad and chilled out. On Saturday Laura picked me up at half 10 and we headed off on her tour of Perth. She took me on the west coast drive along to a few beaches spots... Hillaries, North Beach, Port beach and a few more and then down to Freemantle. She showed me a little port, the shopping spots and took me to a gorgeous little cafe called hubbles. I had a mushroom, ricotta and spinach pastry with some salad it was gorgeous..Laura and I then headed to the pool party where Gary and the guys were. Needless to say most people were pretty wasted by the time we got there and Gary had already dived into the shallow end of the pool- Ouch.. I spent the time catching up on drinking, we snuck out for a falafel later on and then I got the train home with Gary. We were both wasted so passed out when we got in. On the Sunday we got up and headed off to the Shed for a Sunday session with all the people from the party. I shared a breakfast with Gary and had a couple of drinks but I did not stay late as I had to be up early for the tour the next day I left by about 7 as it took an hour and a half to get home as the trains were out. Mission and a half getting home in the dark on my own but it was all good. I sorted out my gear and headed to bed whilst everyone else came back wrecked. See I can be sensible when I need it. On the Monday I met the tour group in Joondalup at 8ish in the morning. There were 8 on the tour. Meadhbh from Dublin, Hannahn from Somerset, Jenny from Kildare, Matt from Wales, Summer from Taiwan, Takeshi from Japan and Nick from Wales. Our first stop was Yanchep National park where we saw some Koalas and Emuas. We went and visited the Crystal cave. Afterwards we ate our lunch by the lake in the national park. We headed to Cervantes where we visited the pinnacles as the sunset. Constance from France joined us for the trip. They are basically thousands of rocks in the sand of all shapes and sizes. There are lots of theories about where and why they are there. We guessed correctly that it once was under water another theory is that the rocks used to be forests. Another one was about some war between 2 tribes and the gods did not agree so turned everything to stone.. Well whatever the reason for them they were pretty cool. We picked up some booze and bits and headed back to the Pinnacles Beach resort where we were staying for the night. After a lasagne and salad we all had an early night. On Tuesday we saw some horizontal trees in Greenough. The winds are so strong that it literally pushes them sideways. We then stopped at a memorial for 645 Australians who lost their lives when a German battleship sunk an Australian boat off the West Coast in the second world war. We then went to the Hutt River Province which is a separate country from Australia and is home to Prince Leonard and Princess Shirley. 40 years ago Leonard found a loophole which meant that the land had not been claimed as Australia so he wrote to the government claiming it as his own and it was granted.. it had a post office and chapel and you could buy currency, postcards and other bits if you wanted to. Bit mental really but he is a very clever man and had one of the highest iQs and writes mathematics equations. We even had our passports stamped. After Hutt river we headed to check out the western 'great ocean road' although they only had one apostle to speak of, it was still gorgeous. Later that night we headed to Kalbarri and stayed in the Kalbarri backpackers. After a lush bbq which included kangaroo we had some drinks to end the day. On the Friday we headed on the 2 hour drive to Coral Bay. We took part in a $50 snorkling trip to 2 spots on the Ningaloo reef. It was good fun and we took some cool underwater pictures. The coral was lovely and we saw some cute fish but it wasn't the best that I have seen when snorkling. We headed back to shore for some lunch and then to sunbathe for a few hours before we left for Exmouth. There was a kangaroo in the grass area eating an apple or something so that was funny. Also a stingray came all the way into the shallows.. so cool. In Exmouth we stayed in Excape dorms for the next 2 nights which was part of a complex and we had a pool. To be fair most the accomodation had pools in but this was much nicer. Darren made his last meal for us which was tacos and man they were soooooo good. I LOVE mexican so I throughly enjoyed it. Darren, Jenny, Meadhbh and I went to the bar where we had a good dance and had a laugh watching other people. The music was good in there, gotta love it when you get some good tunes to dance to. On Saturday we headed to Cape Range national park which is home to Turquoise bay which is one of the mosty stunning beaches I have been to. White sands, stunning blue water with different colurs of blue..You can walk swim out from the beach to the reef and snorkle. Some of the girls headed out and saw some white tip reef sharks and I saw the pics and footage and it was cool. Guttered I missed out on that one. I soaked up the sunshine with Hannah and had a little swim. We also walked over to the end of the beach which was deserted and beautiful. Oh yeah and a seagull pood on me.. thats never happened before. I hope this means good luck for me :) Thank goodness I was by the sea and it was only a little bit haha. On the way home we stopped at a lighthouse and saw some whales and calves in the water. Its the season where the whales take their calves up north to fatten them up before they head south. Later that night we headed to Graces kitchen where we had pizza, wedges and beer. It was a great end to a brilliant week. On the Monday we headed on the last 5 hours of the trip to Perth. I was getting dropped off at Jondalup so I said a sad farewell to my Red Earth Safari family and headed on my way on the train back to Garys. Luckily Hannah, Meadhbh, Jenny and Matt are heading to Sydney so we are going to meet up in about 6 weeks for a big sesh. It was pretty hot by the time we got back in Perth and I managed to get lost heading back to Garys so I was walking around for 40 mins in the heat with a backpack and daypack.. great workout. I spent the rest of the day doing washing and chilling out. After several days of 6am starts I was a bit battered. Yesterday Gary and I headed to Jondalup to sort out a bank account for me and do a few other errands. I wanted to register with Medicare but forgot my Visa so DOH! I will be heading into the city tomorrow to sort out my east coast trip so will do the Medicare card then. it just means I get money back should I have an accident or need any treatment whilst I am in OZ. I should be starting doing the east coast next Tuesday or Wednesday but the flights are farely expensive and also there is serious flooding on the east coast at the moment so thats rubbish. I really wanted to head to Margaret River which is 3 hours south of Perth but no one is heading that way and the tours are expensive like $195 for a day.. w*** that can't do everything. I will do it another time I am sure. After we did some errands and played some cards we headed to the city for some pizza and cheap wine for a Tuesday special for Garys mate Jonesy's leaving party. in Australia things are cheaper on a Tuesday, cinema, flights, dominoes. I think its to cater for backpackers or something but happy days at $3 a wine. I drunk alot of them :) Well normally its more expensive so I got pretty wasted. There was a group about 15 of us and it was a good laugh. I had a spinister, funny huh for me.. :) feta, spinich, onion and mushrooms for $12. We carried on drinking and then got a cab home later on. Rick I quite liked the idea of you indulging in a Bush Tucker Trial Mags... Kangaroo k*** anyone?